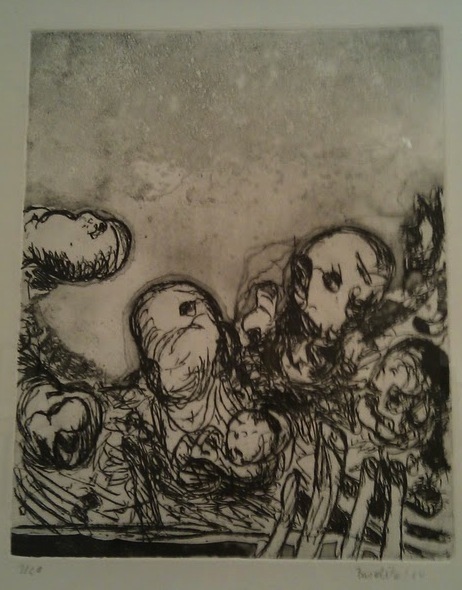 This was an engraving on zinc plate that I photographed at the Seattle Art Museum. It was created by Georg Baselitz. He was into death and suffering, and this was one of his bleakest works.